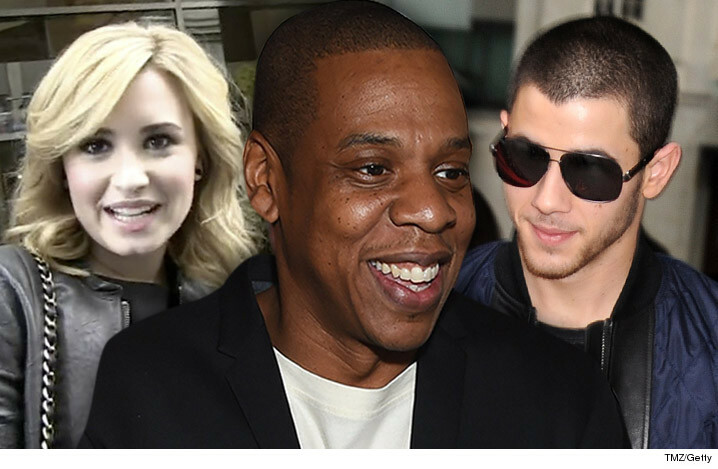 Turns out there's a mastermind behind the explosive success of Demi Lovato and Nick Jonas ... his name is Jay Z. Sources tell us earlier this year, Jay's company, Roc Nation, quietly merged with Philymack, the management company that handles Demi and Nick. We're told Phil McIntyre, who owned Philymack, was supposed to make an announcement of the Roc Nation/Philymack merger months ago, but after Tidal flopped he and Jay decided to put it off. Short story ... Jay's done a great job rebranding the youngins. We reached out to Philymack and Roc Nation ... so far no word back. Demi Lovato & Nick Jonas -- $10k For Backstage Access ... But You Still Gotta Buy A Ticket!! !